As healthcare changes, so do their goals. The latest goal is 80% of the Nurse workforce should have their BSN by 2020. Most hospitals are no longer hiring Nurses with only their Associate’s degree. If they do hire them, the Nurses are expected to sign a contract that they'll get their BSN within a certain time frame. Anna Marie Luzar, nurse director of St. Vincent Charity Medical Center's Spine and Orthopedic unit, decided in 2011 that she was ready to return to school to get her bachelor of science in nursing. Luzar, who received her BSN in 2014 from Ohio University, is one of many nurses taking advantage of RN-to-BSN programs across the region and country that have been cropping up to help registered nurses with diploma or associate degrees take the next step in their education as hospitals increasingly expect higher skill levels. Many Northeast Ohio health systems are looking only to hire nurses with a BSN. Those with an associate's degrees are often asked to sign a contract that they'll get their BSN within a certain timeframe after employment. Following a 2010 report from the Institute of Medicine, health care providers across the country pushed forward initiatives to get more of their nurses baccalaureate-trained. 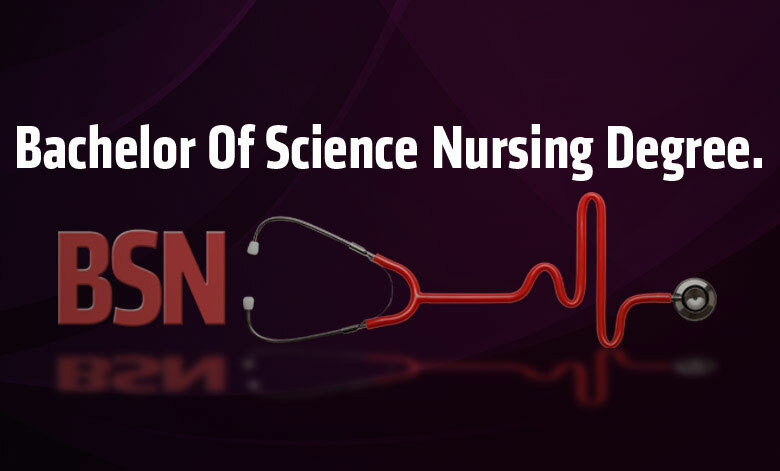 “The Future of Nursing: Leading Change, Advancing Health” recommended that 80% of the nursing workforce have a BSN by 2020. The report stated that the health care system doesn't provide sufficient incentives for nurses to further their education and get additional training. “Everyone has taken that very seriously, knowing that health care reform requires nurses to be front and centered and that they need to be well-educated,” said Joan Kavanagh, associate chief nursing officer for the Office of Nursing Education and Professional Development at Cleveland Clinic. “Initially there wasn't as great of a push by the hospitals or the acute care agencies to really mandate this,” she said. MetroHealth prefers that recent graduates it hires have a BSN, but it makes exceptions for current employees, such as medics, working through school. For more experienced nurses without a BSN, there's a ticking clock to get one. Earlier this year, the system dropped its timeframe from the three-year requirement it started with in 2013 to a two-year window for nurses to get their bachelor's, “knowing that the year 2020 is creeping up on us,” said Melissa Kline, vice president and chief nursing officer at MetroHealth. In the past three years, the number of MetroHealth's nurses who are baccalaureate-trained has increased from 48% to 65%, and at any given time, another 13% to 15% are enrolled in a program. Although achieving the goal of having 80% of nurses baccalaureate trained by 2020 isn't specifically tied to funding or reimbursement, Kline said, evidence that a higher level of nursing education is connected to better outcomes was encouraging enough for hospitals to head in that direction. In 2013, the Clinic moved to have all nurses who join the system sign a contract that they will attain their BSN within five years. While Kavanagh emphasizes the Clinic is appreciative of and welcome nurses who graduated from diploma and associate degree programs, the goal is that they will get a bachelor's degree. The extra training brings additional skills of leadership, strategic thinking and research that simply cannot be covered in shorter programs, she said. Diploma and associate degree programs prepare nurses at the micro level, but further education to understand the big picture of systems and how teams work together is increasingly important as health care changes. Summa is well on its way to achieving its goal. At present, 77.4% of its nurses at Summa Akron City and St. Thomas hospitals have a BSN, up from 60% when the report came out in 2010. Tracey Motter, associate dean for undergraduate programs at Kent State University's College of Nursing, said she believes all nursing education should be at the baccalaureate level, considering the amount of responsibility and demands on nurses in hospitals today. But she recognizes that that can be challenging, time-consuming and cost-prohibitive for many students who traditionally go the associate's degree route. “A lot of them choose the (associate's degree in nursing) because it's cheaper and quicker, and that really isn't a good reason when we're looking at patient outcomes,” said Motter. The RN-to-BSN programs, like the one at Kent State, can be a good fit for those students facing those challenges. She's also seeking grants to help support such students. Kavanagh of the Clinic emphasized that a bachelor's degree is in no way the end of the line. “It's really all in the name of increasing quality of care for our patients, increasing the access and the coordination, and all of that requires ongoing and lifelong learning,” she said. Have questions about getting your BSN or have a general question? Ask one of our Nurse Leaders!